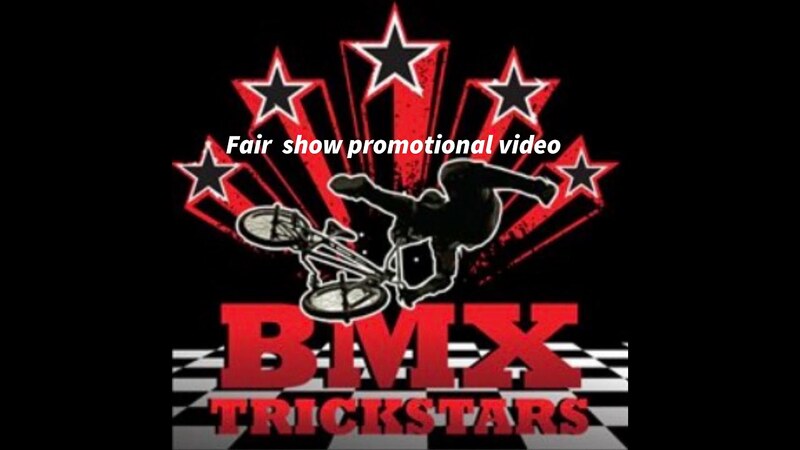 BMX Trickstars performs many Half time shows for sporting events all over the country. Rob Nolli doing a no handed backflip for some elementary school students. Table tob air at Monster Jam in Tampa Fl. One handed tail whip at Monster Jam in Tampa Fl. 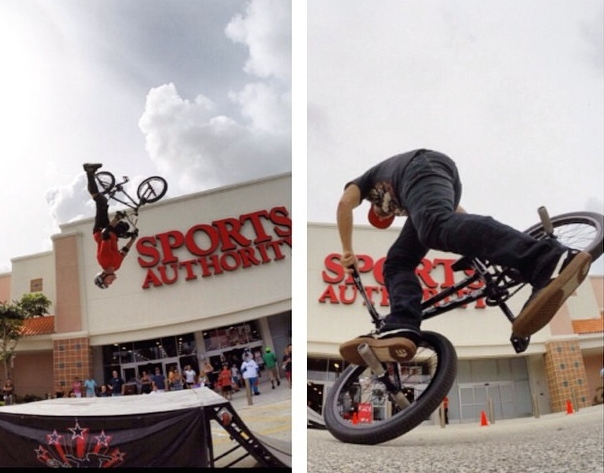 BMX Trickstars Scott Weaver and Rob Nolli performing educational school assemblies. 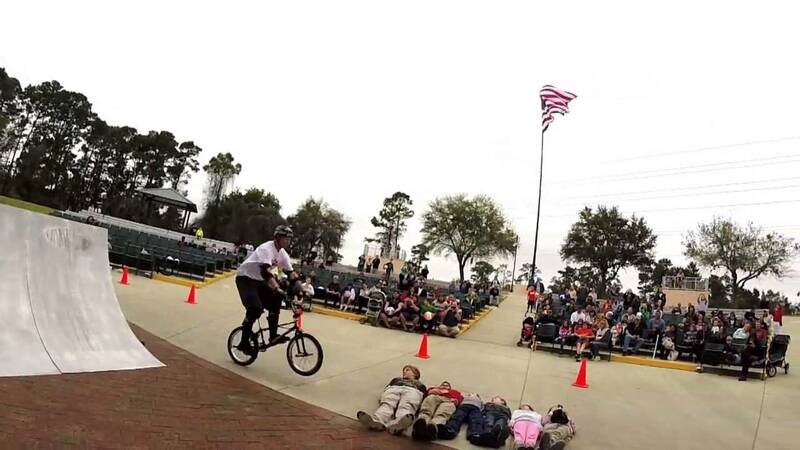 BMX Trickstars is a Traveling BMX stunt show located in central Florida. We travel the country providing special event entertainment. Our all new portable 9' tall 16" wide 1/4 pipe ramp and a box jump that can be set up 3 different ways to accommodate many show areas. Most of our performances include flatland (tricks done on the ground) Flatland can be performed in many different area's such as on a stage or indoors in a small area with lower ceilings. We have performed at everything from Birthday parties, fairs, festivals, schools and even NBA and NFL Halftime events. Our set up is all inclusive, we provide ramps, PA sound system, generator for power and cones to mark off a area. These guys are pros would recommend to anyone. Will definitely hire again! Good times, easy to deal with! BMX Trickstars is an all inclusive traveling BMX stunt show. Our shows offer flatland freestyle and high flying ramp action. Our new custom built ramps are portable and sets up in 15-20 minutes. Team riders are professional, experienced and innovative. Shows will entertain as well as educate audiences of all ages. 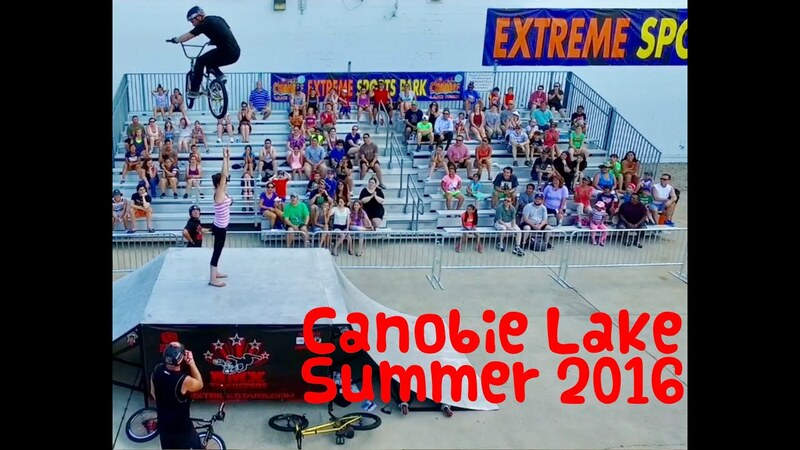 BMX Trickstars specializes in entertainment for sporting, corporate and special events, fairs, festivals, grand openings, private parties, school assemblies and fundraisers. We are centrally located in the Southeast, but we travel across the nation and have connections to ramps and other riders all over the country. Bring X games medalists to your event. BMX Trickstars is an all inclusive traveling BMX stunt show. Our shows offer flatland freestyle and high flying ramp action. Our new custom built ramps are portable and sets up in 15-20 minutes. Team riders are professional, experienced and innovative. Shows will entertain as well as educate audiences of all ages. 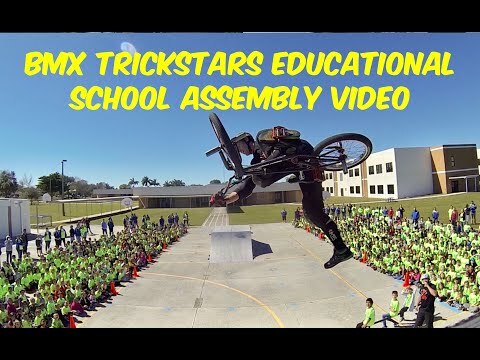 BMX Trickstars specializes in entertainment for sporting, corporate and special events, fairs, festivals, grand openings, private parties, school assemblies and fundraisers. We are centrally located in the Southeast, but we travel across the nation and have connections to ramps and other riders all over the country. We are self contained. All that is needed is a show area of 30'X100' We bring our own ramps, generator, 1200 watt P.A. sound system and safety cones.